FULLERTON, CA (March 23, 2011) – Yokohama Tire Corporation-sponsored drivers combined for three podium finishes at the Lucas Oil Off-Road Racing Series opener at Firebird Raceway in Phoenix, Arizona, March 19-20. 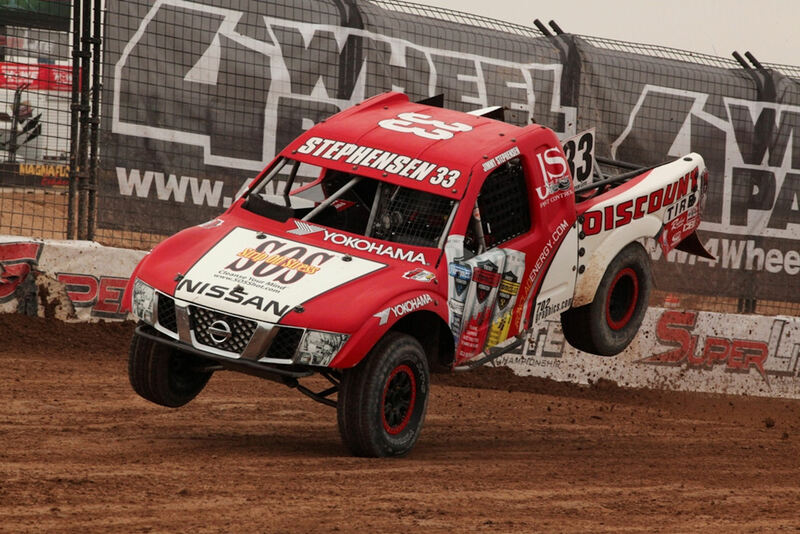 In the Pro Lite Unlimited class, Yokohama driver Jimmy Stephensen took his #33 Discount Tire/Ironclad Nissan, outfitted with Yokohama Geolandar A/T-S® tires, to the podium with a third-place finish in round 1 on Saturday, March 19. The next day, Stephensen, from Las Vegas, repeated his podium performance with a second-place finish. In the Super Lite class Saturday, Funco Motorsports driver Chad George (Rialto, Calif.) battled hard from the middle of the pack and moved up truck by truck to get his #42 Kawasaki/Yokohama SuperLite, outfitted with Geolandar A/T-S tires, on the podium with a third-place finish to start the season. The next event in the 2011 Lucas Oil Off-Road Racing Series is April 16-17 at Speedworld Off-Road Park in Surprise, Arizona.